The Spirit Bear is a rare subspecies of black bear that lives only along the central and northern coast of BC. There are less than 400 Spirit bears in existence, making them one of the rarest bears on the planet. Spending several hours last week with this young male as he fished for salmon was one of the most incredible experiences I have ever had in the wild. The call of the Sandhill Crane is one of the most distinct and beautiful sounds in the Teton valley. Their return each the Greater Yellowstone Ecosystem each Spring signals the changing of the seasons. There is little question that the next species in my series of winter wildlife finds the most creative ways to have fun. Humans aren’t the only ones enthralled with the feeling of sliding on snow. While we use skis, boards, or sleds, river otters need look no further than their long and slender bodies. When on land, otters cover ground with a hop, hop, slide, hop, hop, slide movement pattern. Sliding on the snow and ice certainly allows them to travel more efficiently, but spend any time with otters and there’s no denying the routine is as much, if not more, for fun as it is for practicality. Other than playful antics to keep their mind off the cold, otters have some impressive adaptations and strategies for winter survival. River otter’s lengthy guard hairs, and dense underfur, which traps insulating air, keeps them warm in extreme temperatures. On top of that, oil secreted from the sebaceous gland actually waterproofs their coat, preventing water from reaching their skin. To remain well insulated they must replace the air in their underfur after swimming, and they do this by rolling around in the snow, and yes, you’ve guessed it, playfully. Since the water temperatures are warmer than the air, otters opt to spend more time underwater. 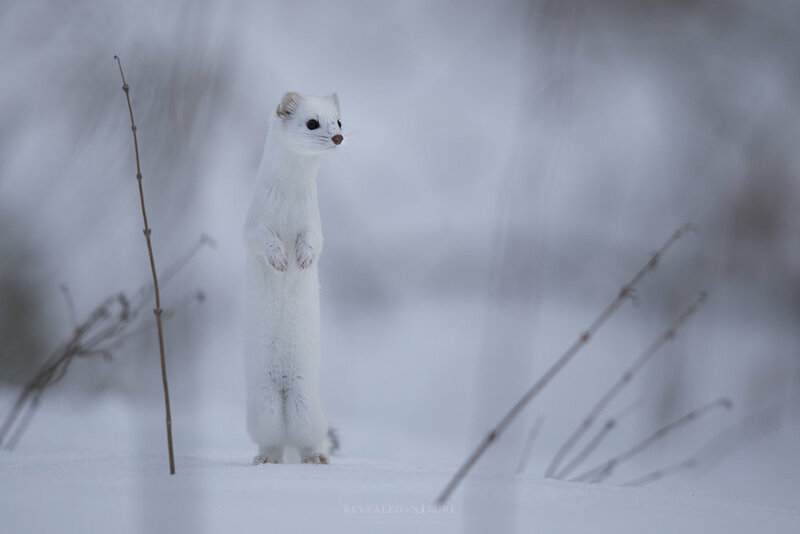 They will often travel and hunt underneath the ice shelves which line the rivers and creeks during winter months. An otter may stay below the ice indefinitely by breathing in the air pockets trapped beneath the ice. While bison display some impressive adaptations for surviving winter, they, along with other ungulates, share one significant disadvantage during the winter, a lack of speed and agility in deep snow. While this may sound more like an inconvenience, it becomes a matter of life and death when your main predator appears to move through the snow as if it wasn’t there. This is the distinct winter advantage of the wolf. Wolves are made for winter. While their prey struggle and sink in the snow, wolves float relatively effortlessly on the surface. Their secret lies in the design of their paws. A wide round shape, and thin webbing between each toe enables each paw to function as a snowshoe. In the search for prey, a pack of wolves, such as Yellowstone's Wapiti pack featured here, may cover 30 snow covered miles in a day. I encountered these wolves recently on one of my photography workshops in Yellowstone. We followed their tracks for miles before catching up to them along them Gibbon River. Featured first on this series of posts highlighting wildlife and their unique strategies for enduring Yellowstone winter is the bison. 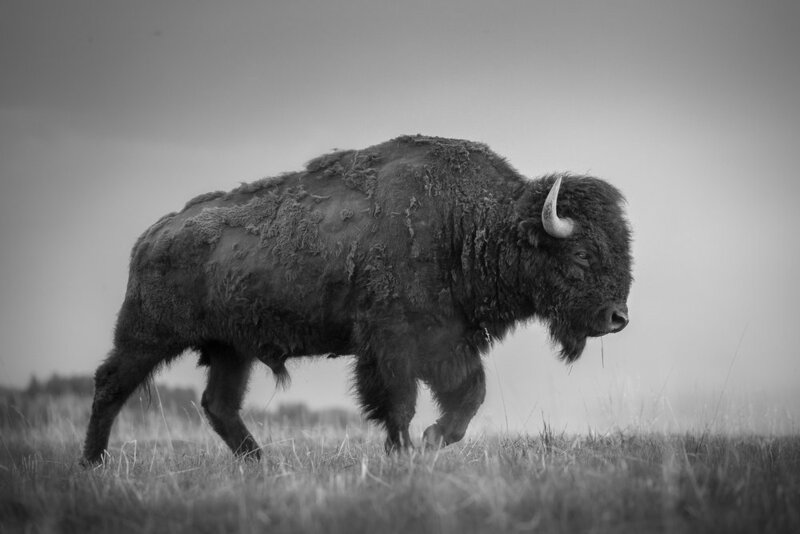 Two key assets equip bison to survive in this unforgiving climate.